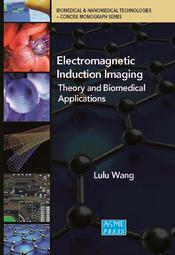 We are pleased to announce publication of the 20th volume in the series: Electromagnetic Induction Imaging: Theory and Biomedical Applications (2019). See below for information on submitting a manuscript for this series. Mobile Wearable Nano-Bio Health Monitoring Systems with Smartphones as Base Stations (2012) - Sample pages for this monograph available online. Click the link above, and scroll down the page. Each monograph will be similar to an expanded journal article or technical paper, with the addition of applications or industry related content, such as case studies and other new findings or results. Sources for these concise monographs may include previously published journal articles, conference papers, and even book chapters that are expanded with additional new content. The books will aim to provide a mixture of theoretical and practical content that will appeal to engineers in both academia and industry. Series Editor: Ahmed Al-Jumaily, PhD, Professor of Biomechanical Engineering & Director of the Institute of Biomedical Technologies, Auckland University of Technology. Please also refer to Document Library below for more information about this new series. AIMS & SCOPE Topics to be covered in the series.